LILY…is a delicate and discrete pleasure object with a silky-smooth surface and deceptively powerful purr. The specially adopted silken finish, sensual to the touch, suggestively puts the user in the mood and invites to imminent full-body exploration. Ergonomically designed to accommodate all those special places, LILY is handy, rechargeable and exceedingly quiet. 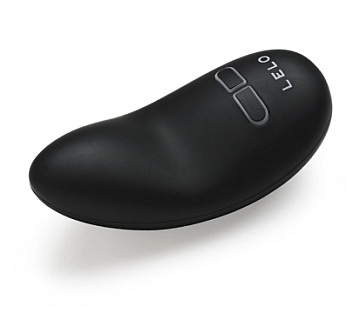 Comes included with gift box, charger, manual, satin pouch and a 1-year LELO warranty.